The Loch Ness Marathon will take place on Sunday 28th September 2003 and is one of the UK’s most picturesque marathons, hoping to attract 2000 runners worldwide. This year Marie Curie is one of 5 nominated charities and we have 50 guaranteed places for our supporters. In addition to the 26.2 mile marathon there is also a 5K Fun Run over a flatter faster course along the banks of the river Ness and into Inverness city. The organisers also hope to be able to make an announcement soon about the addition of a wheelchair marathon. 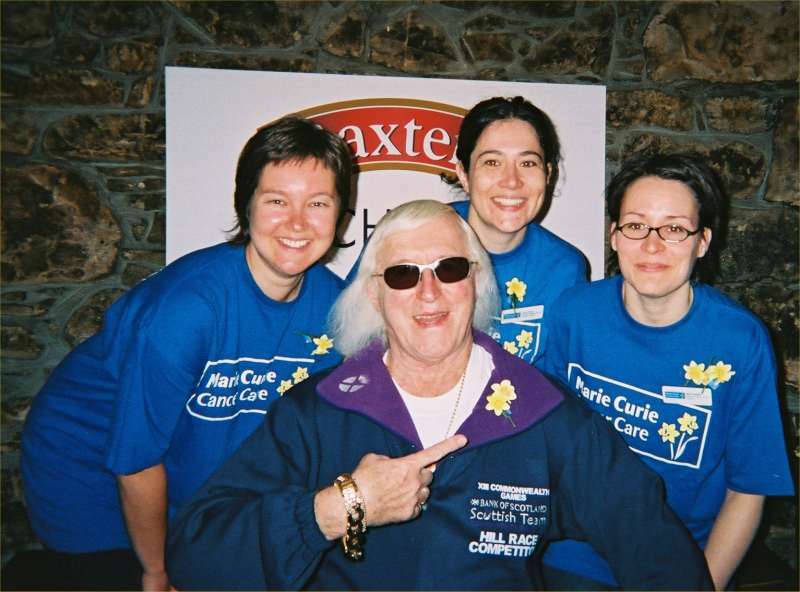 and Jenni Nuppula (REO Scotland) with Sir Jimmy Saville.